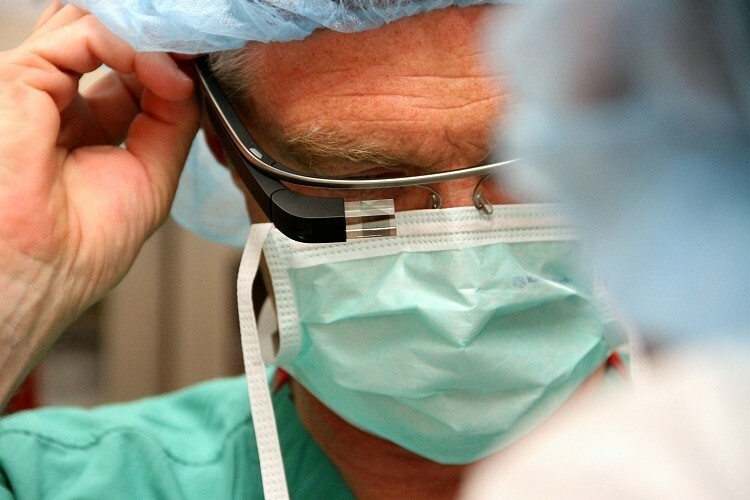 A surgeon at Ohio State University’s Wexner Medical Center recently performed a routine surgery while wearing Google Glass. The technology allowed Dr. Christopher Kaeding to live stream the procedure to a group of students on the other side of town and collaborate with a colleague during the process. The surgeon performed an ACL repair on a woman that injured her knee while playing softball. One might think that wearing a connected piece of technology like Glass would hinder the task at hand or at the very least, add a bit of pressure. But once Kaeding got started, he said he often forgot the device was even there. It marks the first time that such collaboration has occurred during an operation using Glass, the university said. Ohio State University is now looking into other ways that Glass could be used to enhance the learning experience of students. Dr. Clay Marsh, the medical center's chief innovation officer, said they were very excited about the opportunities the device could provide for education. Kaeding added that it was a privilege to be part of the project as we explore how the technology might be incorporated into the everyday care of patients. True enough, being able to overlook the work of a surgeon in a real-world environment could go a long way in educating the doctors of tomorrow. Glass could also be used by doctors to call up X-ray or MRI images using voice commands, meaning their hands could stay busy at work.